Not all of us have green thumbs — or the desire to spend long weekends tending to our outdoor space. But it's safe to say that most homeowners value a beautiful garden, whether it's for their own visual enjoyment or to simply boost curb appeal. Fortunately, there are many trees, shrubs and perennials that can withstand a reasonable amount of neglect and adverse conditions — from tolerating unpredictable weather patterns and harsh winds to thriving in intense sunlight. 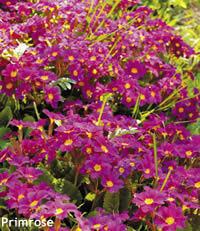 Simply choosing the most manageable plants for your garden is half the battle. "Plants do best if planted in exactly the same type of condition they would be found in the woods or wherever they are found," explains Sally Koppenberg, owner of Stonehill Gardens and author of the Mat-Su Valley Frontiersman's "Dirt Divas" column. 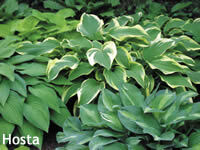 It follows that plants that are native to Alaska are ideal for Alaska gardens. In addition to developing specific defense mechanisms that ward off harsh conditions, Alaska plants also have learned to work with nature, rather than fight against it. During the winter season, for instance, layers of snow act as an insulator to protect plants from drastic temperature fluctuations and dry winter winds. Despite the advantages of native plants, Koppenberg explains, "they are not hybridized to tolerate a wide variety of conditions like many horticultural species are." And with such a broad range of plants available, certain characteristics among non-native plants also serve as defense mechanisms against harsh conditions. "During our experiences, we've found many plants share some common characteristics that lend them to specific uses," says Rita Jo Shoultz, owner of Fritz Creek Gardens. Hairy-leafed plants, for instance, are equipped for defending themselves against the elements. The wooly lousewort is a prime example, as it possesses a protective covering in the form of a thick "fur," made up of thousands of tiny hairs. Thick, succulent leaves also indicate that a plant is particularly drought-tolerant, as it can receive and store a larger amount of water. Anyone who has dated has probably learned the hard way that it's not always about which traits to look for, but which traits to avoid as well. The same is true with flowers and plants, and weeding out plants with undesirable characteristics can save you the painstaking time spent on high-maintenance plants. For instance, plants that have been "manipulated" to have variegated leaves are usually not as virulent or hardy. "These plants often have either a virus introduced to produce the variegation or some of the chlorophyll is removed," Shoultz explains. "Generally white varieties of different species do not do as well as colored varieties," Koppenberg says. "This same rule applies to plants with blotchy leaves, multi-colored leaves and so forth. 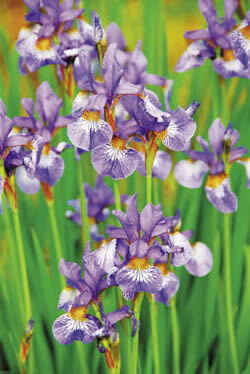 That's why we have so many all-green varieties available to us, while the list of 'interesting' ones is much smaller." Even so, some rules of thumb should be ignored as they apply to "normal" conditions, which Alaska is anything but. It is considered common knowledge, for example, that plants with deeper roots are hardier. But as Shoultz explains, "Since our grounds are cold and in the spring typically don't warm up until way into the season, sometimes the longer rooted plants don't 'wake up' until almost too late in the summer to enjoy them." One of the most familiar tools used by gardeners is zoning, which is a reference tool indicating the ideal area for planting. Gardening publications, plant labels and seed packets often specify the plant's "hardiness zone," which is designated by a number ranging from one to 11, followed by an "a" or "b." This number is based upon climate, including temperature and elevation, and indicates which planting zones are ideal for each individual plant. Though not fool-proof, it's a good start for choosing plants. "These are created for cold tolerance but do not take into consideration things like the warm-ups we have typically in the winter with the fast re-freeze that follows," Koppenberg explains. "They also do not take into consideration wind chill and what this does to pull moisture from plants, especially woody ones like shrubs and trees." While there is no substitute for experience, seeking the advice of gardening veterans and nursery owners can give you a guideline for the ideal habitat and care of individual plants. But Shoultz echoes the sentiments of many Alaska gardeners, noting, "While this is useful, it isn't the bible, as Alaska of course is unique. I continue to be fascinated with flowers and their magic."